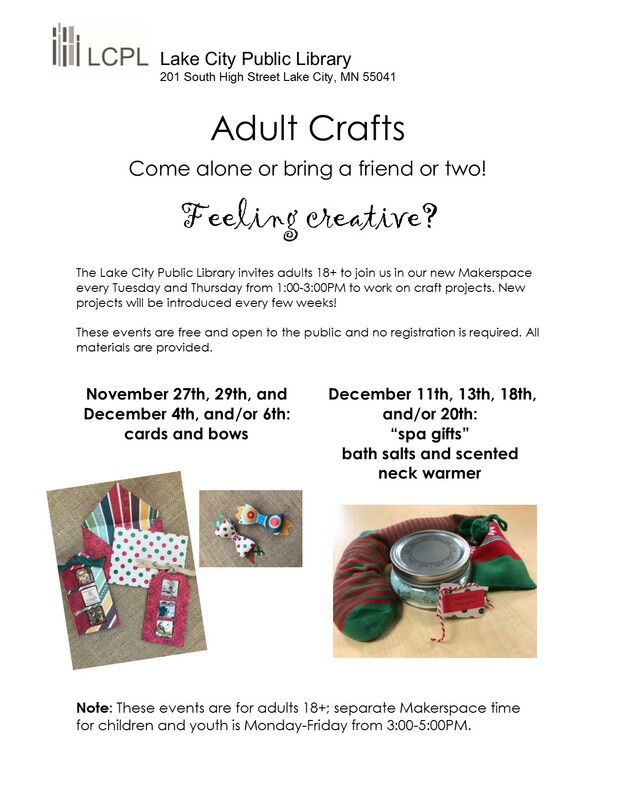 Drop in anytime between 1:00 and 3:00PM on Tuesdays and Thursdays and make a craft! It’s free! Posted in Adult Programs, Announcement, Events.